Last year, I started out the New Year with a word that I wanted to take heed to throughout the whole year. You can read about 2016's Word of the Year here. This year I have decided to continue the tradition. 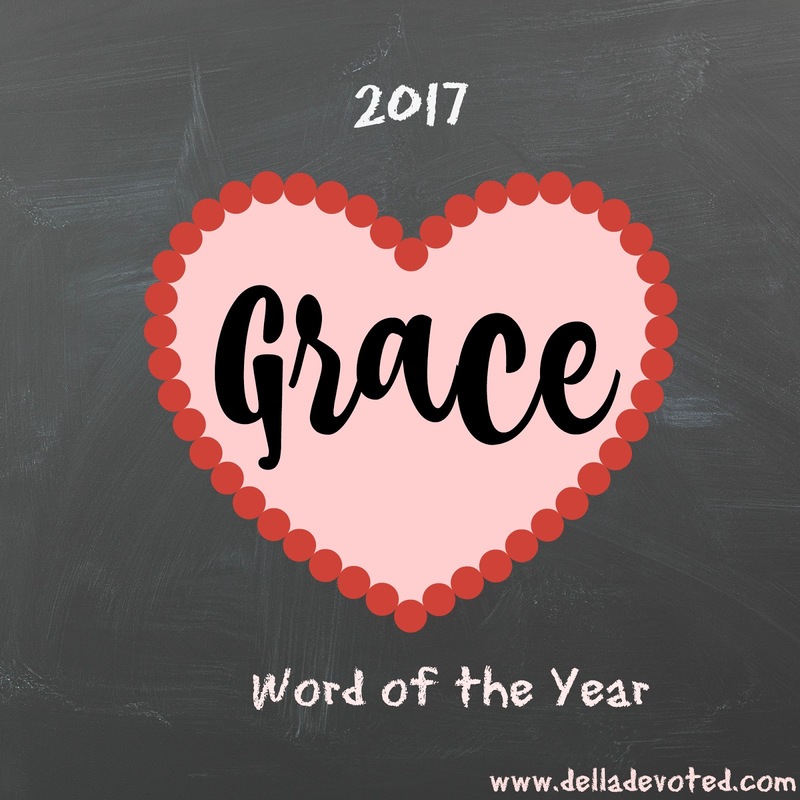 My word for 2017 is Grace. We have all heard of and experienced God's wonderful Amazing Grace. God and the Grace that he gives is beyond our human understanding. However, I am very thankful for his love and Grace toward us, although, we are undeserving of it. This year I want to be more Christ like and extend Grace to all. I want to do everything I can to be a better and more graceful woman. I want to help those who are in need, I want to lend an ear or a shoulder to cry on and be the friend that someone needs even if it may be a stranger. I also want to be able to quickly forgive when others make mistakes, just as God does for us. I want to express my love consistently and abundantly to all. Sometimes it is hard to show Grace toward those closest to us, but those closest to us need it the most. Jesus showed Grace to the most undeserving people and was even criticized for it. Jesus may not have liked their ways, but he loved their hearts and wanted to show them love. You may not agree with what someone does, but you can show kindness and point them to Christ regardless of their wrongdoings. I want to be a blessing to not only my family and friends, but to all. I want to exercise love, kindness and goodwill to everyone. I want my son, husband, family, friends and everyone else to see Christ in me. After all, I may be the only bible that some people read. I want everyone to know me as humble, loving and kind. We all could use a little Grace, so why not give it in return?